Go to Groupon now they have a deal at Printerpix for a custom blanket for just $8.99 These are so cute and soft I got one for my mom last Christmas and she loved it! This would make a great Valentines gift for your loved one. 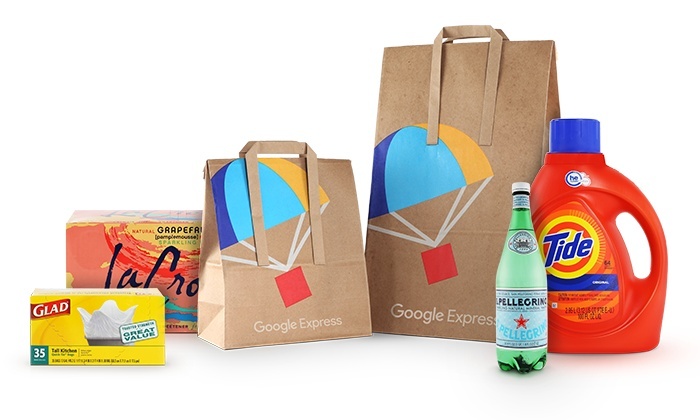 Google express $40 credit for only $15! Guys! Right now Groupon is having a crash the site sale which means I found these awesome Mink photo blankets two of them for $10 making them only $5 each or you can score 1 for $6 This would be a perfect mothers or fathers day gift Get the Groupon now and save them! 20% off Local deals at Groupon! Use code SAVE20 Get some deals for a date night or even family night! This code only lasts today only! So score even more deals on already discounted local items. If you are currently a Groupon email subscriber, be sure to check your inbox for a possible email with an invitation to snag a $20 Target eGift Card for just $10. This email will have the subject line “Target!” and will be coming from the email address noreply@r.groupon.com. If you are a lucky recipient of this email offer, you can head here to snag your $20 Target eGift Card for just $10 (it never expires and is valid both online and in store!). Still need to find that perfect Halloween Costume? Well, Halloween Express is offering 50% off with this Groupon! Get the pass of all passes for only $13.60! Per pass! If you are not in the Utah area you can still use the code EXTRA30 to get an extra 20% off for your local deals up to 3 deals.